Our keto starter kit is designed to equip the keto cook with the absolute essentials when starting a classic ketogenic diet. 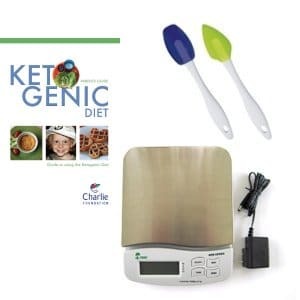 Kit includes a digital scale, parent’s guide, and two mini spatulas, you will have all you need to start cooking like a keto-pro! 5 inch diameter rubber grip for opening bottles and jars, gripping tools, removing lint from clothes. Also works as a coaster for beverages or your mini-mouse (for computer).